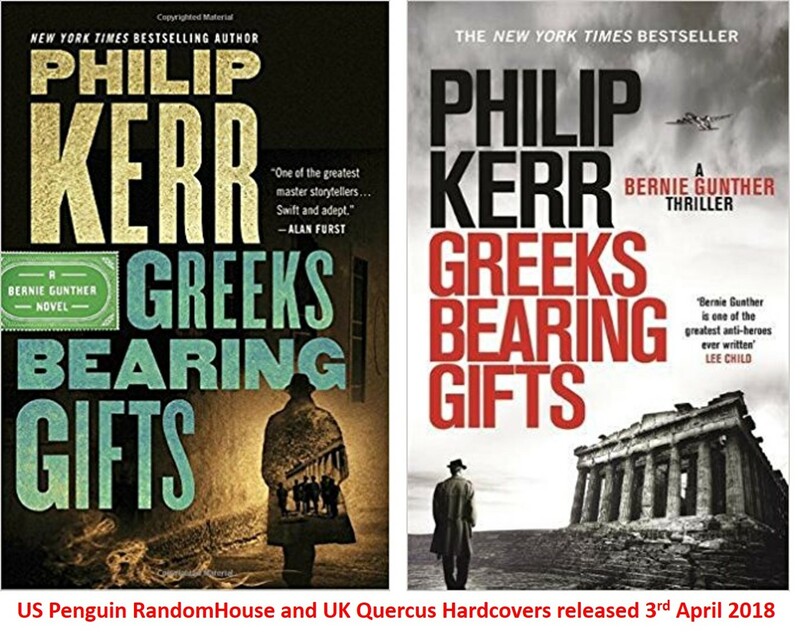 Forgive my artistic license in titling this post; but as Mike Ripley and I paid our respects, following the tragic passing [at such an early age] of Philip Kerr – I reflected upon when we were first introduced to his character Bernie Gunther, which was set in 1936 Berlin in March Violets [published 1989]. 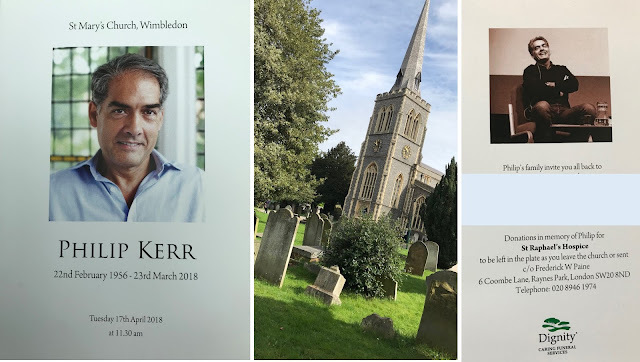 Crime Writer, and literary commentator The Talented Mr Mike Ripley and I made our way to St Mary’s Church Wimbledon to pay our respects to an extraordinary talent in the genre that is Crime & Thriller – Philip Kerr. 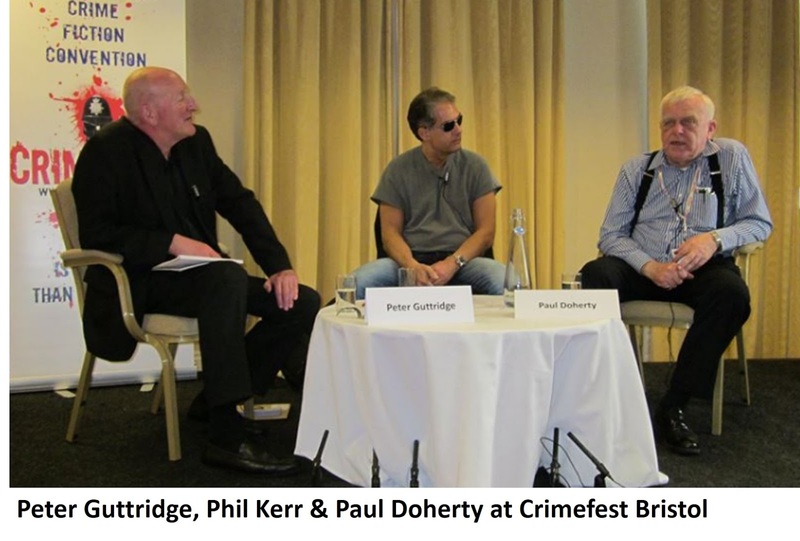 The Crime and Thriller community has been reeling when we heard of Phil’s tragic passing aged 62, which has been widely reported in the press internationally. 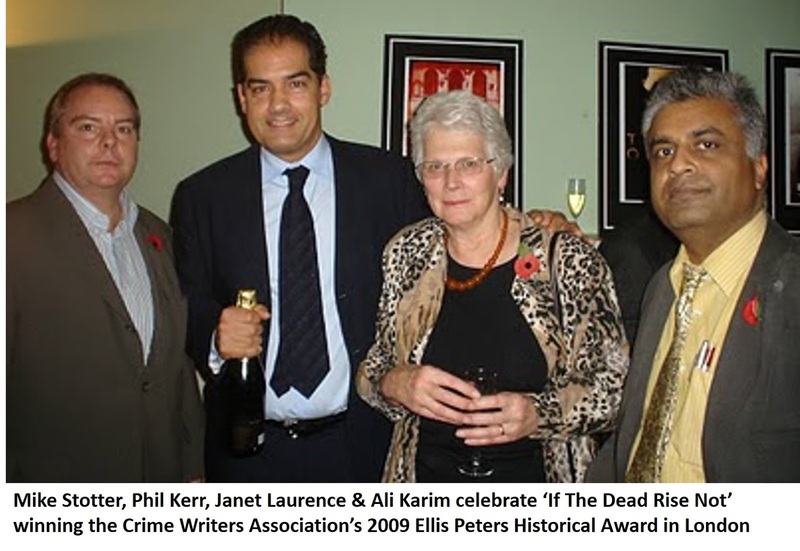 The world of mystery fiction can only lament the extinguished flame of one of its most outstanding practitioners with the sudden death of Philip Kerr, who died on Friday at the age of sixty-two. In 1989, a young British journalist performed a magic trick. Though born in Edinburgh and living in London, Kerr wrote the nearest pastiche to Raymond Chandler’s quintessentially American literary style yet achieved, transcending the scores—no, hundreds—who had attempted it before he did. 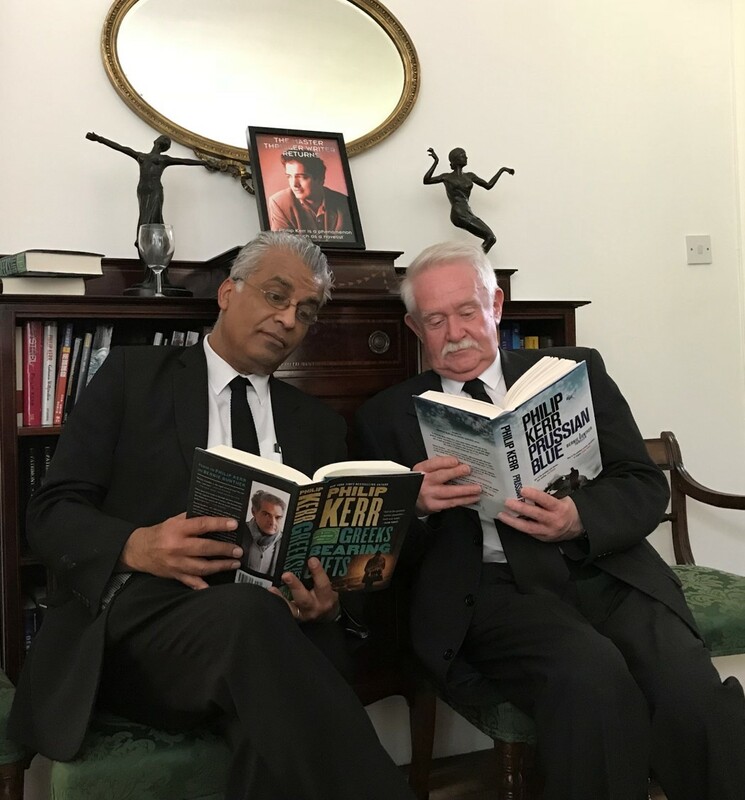 Spending the day with Raconteur Mike Ripley is a pleasure, as we shared anecdotes and memories of Phil Kerr, who was a real ‘character’. I said to Ripley, it is the eccentric, the odd among our friends and colleagues that make us appreciate the absurdity of existence, for they are the people we remember, for they make us smile as well as think, and force us to question our own value system. 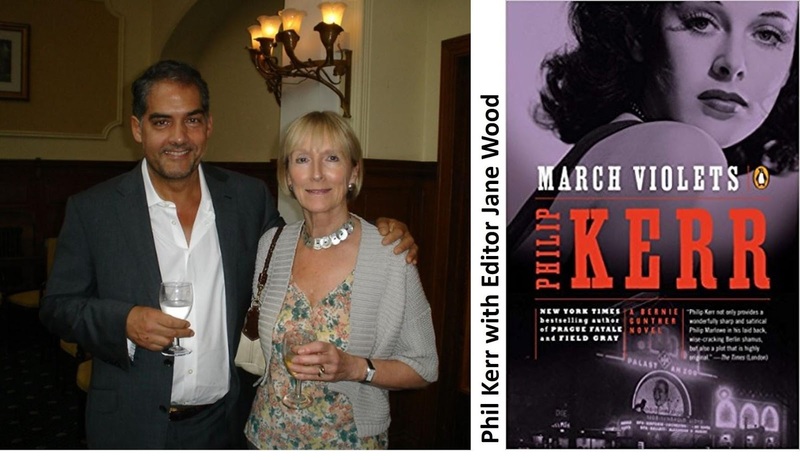 For me, my fascination with the work of Philip Kerr originated in the 1990s after reading Gridiron  and A Philosophical Investigation  which landed him the tag-line of ‘The British Michael Crichton’, and Hollywood beckoned with film options sold in heated auctions, but they languished in ‘development hell’ never making it to the silver screen. Though it would be Bernard [Bernie] Gunther that would be what attracted me, and many, many other writers. It was the Berlin Trilogy of March Violets , The Pale Criminal  and A German Requiem  that embedded themselves into my mind, like shards of broken glass. I would feel the sharp edges from time to time, as they are extraordinary narratives featuring a former German Police Officer, turned Private Eye. I loved the cynical, thought-provoking tales of Germany before, during and after the Second World War. It was the Bernie Gunther character fascinated me, as he was an outsider in a world he didn’t understand, and has to survive the most horrific of societal situations, Nazism being the acceptable face of that society with its cruelty and violence to others. I got speaking to Carodoc King [after the service]; Phil’s long term literary Agent as I was always curious why he didn’t return to Bernie Gunther until 2006 [The One From Another]. King explained that Phil grew weary of his creation, and went off to write in other genres, standalones, techno-thrillers, YA, and non-fiction. 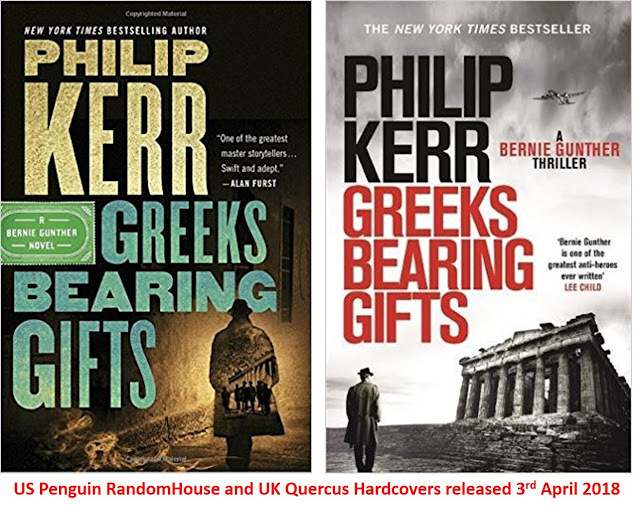 I would bump into Phil Kerr many times, and we spoke about Bernie Gunther, and what made him tick, as an outsider. Phil recounted his early childhood in Scotland; though a Scotsman, he was different to the other kids in school. He was swarthy, and we would laugh as we both had analogous experiences, exchanging our various racist incidents, the name-calling, and the physical violence. He said “but it bred strength of character”. It also steered us toward literature, and escape into the worlds of thrillers, horror, science-fiction and of course crime fiction. Though many of the names were hateful, we also had affectionate ones. He was called “Rastas” for a period, while I was “Cassius” and "Clay" [a 1960s allusion to the boxer Mohammed Ali, who was formerly Cassius Clay, as well as nod to my skin colour], a name that taught me to fight. These names were not only used by fellow pupils, but also the teachers. I told Phil, that his tough school experiences [which he widely recounted] had become character traits, now visible in Bernie Gunther, which would always make him smile, as he had a love-hate relationship with his creation, the outsider, the stranger who does not fit into the world he finds himself in, and is not accepted; a feeling I too share, from time to time. Psychiatrists often say “Give me a child till the age of eight, and I will give you back a man” and this adage is one I believe in. 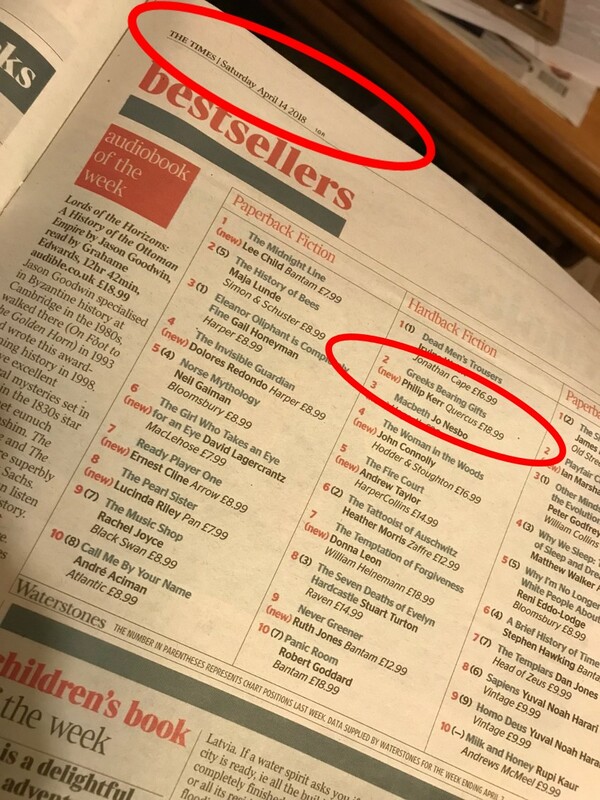 It was a very sunny day in London, and the attendance mainly friends and family members, though we met up with Jane Wood his editor, Carodoc King, and saw Sebastian Faulks, as well as John Sessions. There were readings from his children, Charlie, William and Naomi and the priest recounted how Phil Kerr found faith later in life. So it was soon time to leave, so before heading off, Mike Ripley and I thanked Quercus Publishing and Phil’s family for a memorable celebration though sad, for we came to represent the very best wishes from Shots Magazine, The Rap Sheet, January Magazine and Deadly Pleasures Magazine [as we contribute to them].